... And not a moment too soon. Haven't been in the crafting zone of late but have had some creative moments out with my camera, capturing the change in Seasons. One moment dark and brooding in Edenbridge, the next explosions of lush green & white at the Rookery behind our home. These are a sample of some of the lovely sights we've seen on our rambles. EDENBRIDGE???!!! And you didn't let me know???!! I forgive you (just) but only because you have shared these lovely photos. Nice to see you in Blogland! hi Pen. Wonderful photos to bring you back to we blogger friends ! 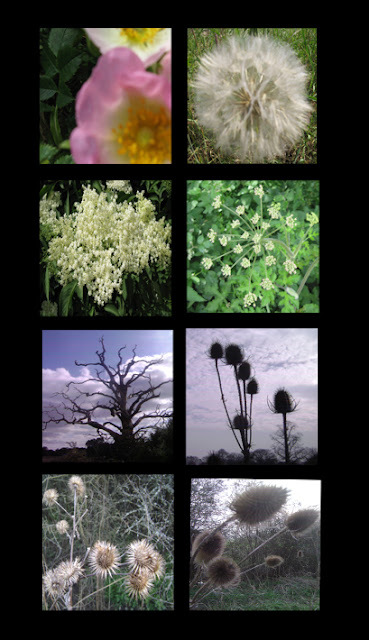 Hi Pen, these are gorgeous photos - I particularly like the one with the silhouette of the teazels. We are in a dark and brooding phase at the moment - waiting for the sun to return! On blog catch up - loving thephotos! Hope you are keeping well hun! welcome back and enjoy the good weather. I didn't notice your new blog layout last time I visited, I must have been asleep! I really like it, Penny - it looks so sophisticated. Thank you for sharing your Spring with us - beautiful garden! i really LOVE these shots!!!! !